Designing homemade Christmas ornaments doesn't need to be time consuming. Just look at our collection of Handmade Christmas Ornament Crafts! All of these DIY Christmas ornaments can be done in no time. There are options for every kind of crafter, whether you like to sew, scrapbook, paint, or decoupage. No matter what kind of craft materials you prefer, there's a handmade Christmas ornament in this list that is perfect for you. Try one of these ornament projects to add some personal flair to your Christmas tree. With so many beautiful Christmas ornmanents to make, the hardest part will be deciding where to begin. The good news is we have wonderful ideas no matter what type of Christmas craft you want to make. These special DIY ornaments will become treasured decorations you will admire for years and years to come. Get your kids in on the action and they can flex their creativity as well. Christmas is all about bringing people together and celebrating with your family, friends, and closest loved ones. Make this holiday one to remember with these amazing handmade Christmas ornament crafts. Check out Crochet Ornaments: 23 Free Christmas Patterns for some more DIY Christmas ornament inspiration. 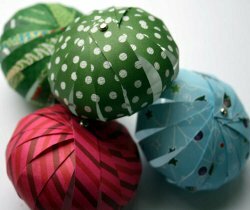 Use the spare fabric in your drawer to design new homemade Christmas ornaments. 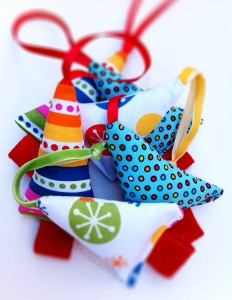 Clean up your craft room with the help of these stash busting fabric ornament patterns. Not only are they fun to make, but these DIY ornaments are also beautiful. Who knew you could create so many beautiful crafts out of paper? Paper ornaments are a great way to jazz up your Christmas tree. From origami to three dimensional designs, there are plenty of DIY Christmas ornaments to keep you busy all season long. Grab some scrapbook paper and start creating these fun homemade Christmas ornaments today. Dazzling beaded ornaments can add a bit of sparkle to your Christmas tree. From fun beaded crafts you can make with the kids to upcycling items from your trash bin, there are plenty of ornament craft ideas to go around. Not enough beading ornament ideas for you? Take a look at the 19 Beaded Ornament Patterns You Can't Beat. Christmas ornaments for kids are some of the most precious decorations on your tree. Teach your kids how to make an ornament from one of these tutorials, and you'll be making a fond memory and a treasured keepsake at the same time. Homemade Christmas ornaments help everyone get in the holiday spirit. 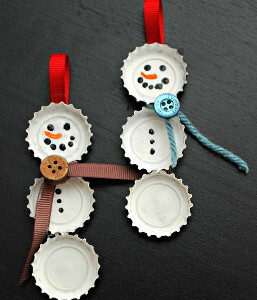 If you like all our other DIY Christmas ornaments, then you'll love these bonus crafts. 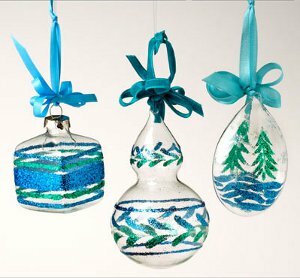 Check out these eye-catching homemade Christmas ornaments and start crafting your own unique ornaments now. For more adorable homemade Christmas ornaments, be sure to look at our Homemade Christmas Ornaments: 17 Insanely Cute Crafts. 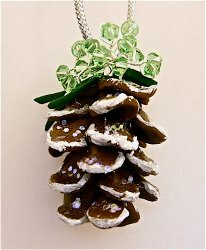 What are some of your favorite handmade Christmas ornament crafts? Comment below! So many fun projects to choose from. Great ideas to work on this summer with my kids. What a treasure trove! where can you find the directions? i really like these christmas ideas!!!!!!!!!!!!!!!!!!!!!!!!!!!!!!!!!!!! !